Road trips are the best way to discover a land, and Pakistan, with its geographical diversity and opportunities, makes it ideal for a road trip adventure. However, this aspect is largely overlooked with negative news and views engulfing us. Sometime back I went on a three-day trip from Karachi to Gwadar and I can, without doubt, say that it was the most eye-opening and memorable trip for years to come. Therefore, I thought that it would be great to share this fabulous part of Pakistan with others. The one-way trip is 650 km long and takes about seven hours to cover. Leaving Karachi on a fine morning, you head towards Hub. Hub is an industrial centre of the country located just within the perimeters of Balochistan. Leaving the town of Hub, you pass the Sonmiani ridges and beaches on opposite sides. Approximately 90km from Hub is where you reach the ‘Zero Point’, where you move onto the Makran Coastal Highway. 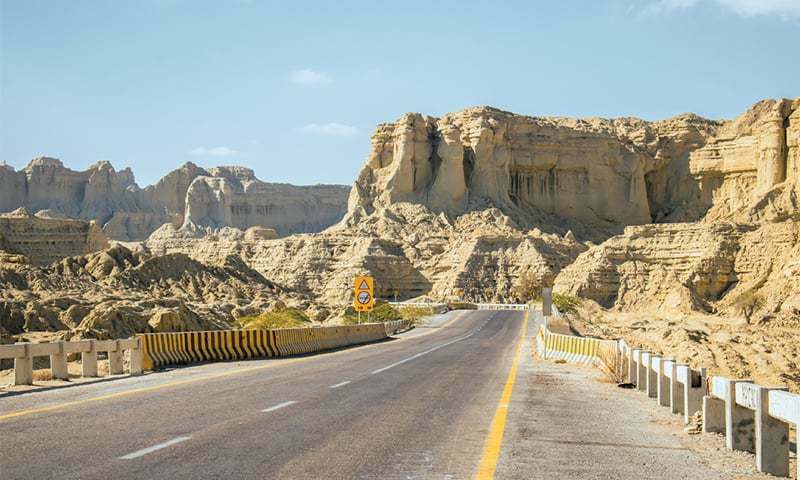 Once on the Makran Coastal Highway, the landscape changes. For half an hour or so, on both sides are vast flat lands with some instances of green, cultivated fields. However, soon the landscape becomes delightful and interesting as you leave the plains behind entering into the Makran Range. The first attraction is on the left side where there are various active mud volcanoes out of which the most prominent are, Chandragupt I and II. 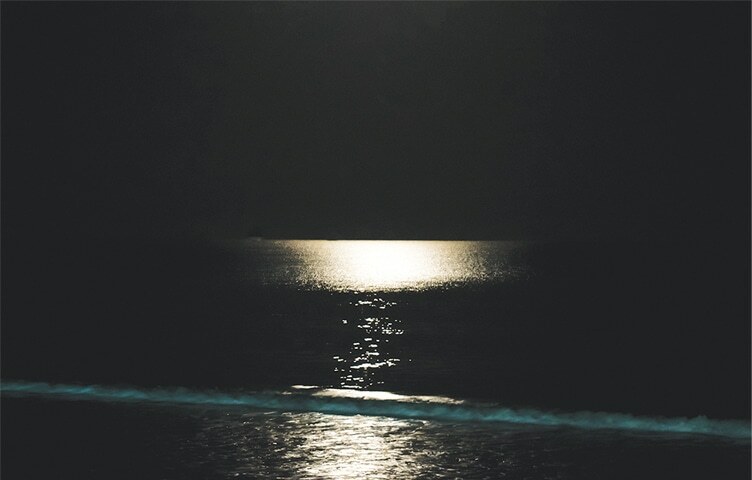 Travelling an extra hour, you reach the serene Kund Malir beach, a rising weekend destination for Karachiites. The sand at Kund Malir is extremely clean as compared to the beaches of Karachi and the greenish-blue sea shines in the sunlight all day long. A number of dolphins can also be spotted here jumping out and diving back into the water. The gradient of the road changes rising towards the highest point on the Coastal Highway, the Buzi Pass. Cruising through mountains on both sides of the road, it is a surreal experience. Sea and wind erosion have chiseled rocks into interesting and grotesque rock formations scattered across the area. One such example is the Princess of Hope, named by Angelina Jolie during her visit in 2002. However, the gradient becomes flattered near the town of Ormara. The hammerhead rock jutting into the sea is one of its salient features. Ormara is about halfway on the Karachi to Gwadar journey. Activity in Ormara, like other towns in the area, centers around fishing. Therefore, it is a suitable place for a stopover for lunch or just for the purpose of breaking the journey. In between Ormara and Pasni lies the Buzi Makola Wildlife Sanctuary, which is an inlet of the sea and a haven for migratory birds coming from Siberia in search of warm waters during winters. It is of particular interest to birdwatchers and photographers alike. Near Pasni, the area is again hilly all the way till Gwadar. Pasni is also second only to Gwadar in terms of fishing industry in Balochistan. Right now is probably the best time to visit Gwadar and witness it in its developing stages and its relatively raw feel. 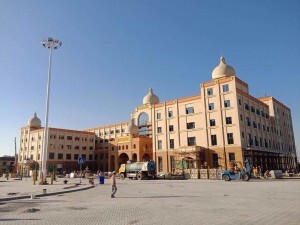 There are various attractions in Gwadar such as the hammerhead, Omani Fort, boat-making yard and the Gwadar Port. 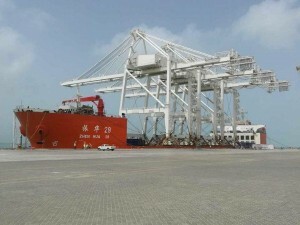 Gwadar is unique in the sense that it has two large bays. The East Bay is where the Deep Sea Port is located. The city is exposed to the sea from three different directions thus, shaped like a neck. 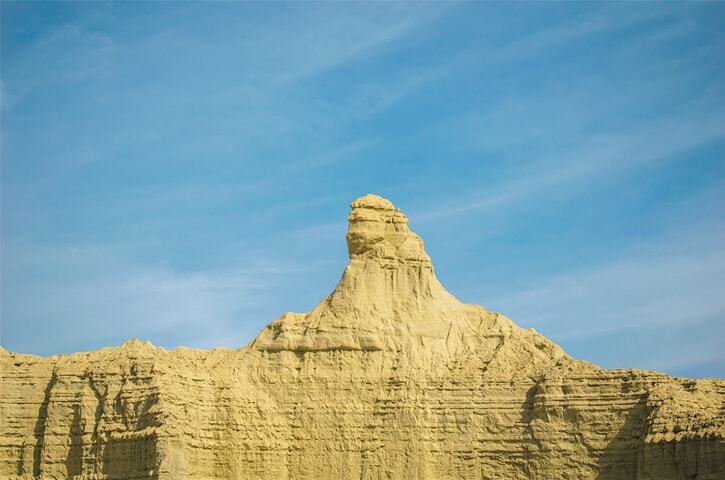 Gwadar also has two hills, the Koh-e-Mehdi and the Koh-e-Batil. The last town before the Pak-Iran border is Jiwani. It is a great place to visit for its spectacular sunsets. Visitors can also see the Queen Victoria hut maintained by the Pakistan Coastguards and built on her orders during World War II. During the war, Jiwani had over 20 airfields where British pilots came to rest and refuel. Some of these can still be visited and have historical markings and name tags of British pilots. The sea here is quiet shallow, in fact, I spotted a number of motorcycles being driven on the sea with fishermen attaching their boats to them and hauling them in! Pishukan is a scenic place which, unfortunately, hardly gets any tourists. It is located at about a half an hour’s drive from Gwadar and is a small town along the sea where the population depends on fishing. 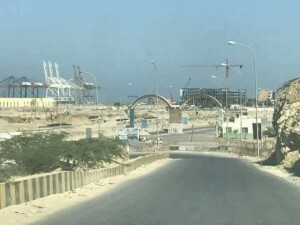 In the future, it is planned that the Gwadar Jetty will be shifted here. Driving to the top of the cliff near the coast is a majestic experience to say the least. The crystal clear waters and vibrant fishing boats make a sight to behold. On the other side of the road is a desert landscape with rippled, rolling sand dunes blowing over the tarmac. In addition, the track to Ganz village reveals mesmerizsing cliffs and table-top mountains. Ganz village itself is fabled for the blonde hair, blue-eyed and fair complexioned people who are believed to be of Portuguese descent. The climate of Gwadar is located at 0 metres (0 ft)–300 metres (984 ft) meters above sea level, features dry and hot arid climate. The oceanic influence keeps the temperature lower than that in the summer and higher in winter. The mean temperature in the hottest month of June remains between 31 °C (88 °F) and 32 °C (90 °F). The mean temperature in the coldest month of January varies from 18 °C (64 °F) to 19 °C (66 °F). The uniformity of temperature is a unique characteristic of the coastal region in Balochistan. Occasionally, winds moving down the Balochistan plateau bring cold spells, otherwise, the winter is pleasant. In Gwadar, winter is shorter than summer. Gwadar’s weather is identical to that of the Middle East as most rain occurs from December till January. The highest rainfall of 227 millimetres (8.9 in) in 24 hours was recorded on 6 June 2010. Gwadar, on the other hand, has various hotels and places for staying. The security situation is stable, contrary to popular belief about the area. The entire length of the highway is safeguarded by Pakistan Coastguards’ check posts and watchtowers. The fact that a restaurant in Ormara is run by a Pathan from Chaman reflects the safe and harmonious conditions that prevail within the region. The writer is a young O Level student who is passionate about photography and Pakistan. What will be outlook of fuel in the way? Or we need to get extra fuel with us from the start? Yes, it will be a good idea to take a 15-20 liters can with you as a backup. PSO at HUB will be your last choice for the authentic Pakistani fuel. Afterwards, it will be all smuggled Iranian one being sold in open drums and that too can only be found after driving half an hour from the previous drum! Well, going to Gwadar means that you cannot avoid the Iranian petrol so the tested strategy would be to first top up the tank at HUB and then refill past Ormara junction when the tank is half full without utilizing the backup fuel. This way the fuel would be mixed up which will be better than the ‘pure’ Iranian one. I understand that Iranian refineries do not produce high quality octane and then the obsolete logistics methods add up to the worries. There is a Caltex petrol pump in Gwadar which claims selling the local blend so that would be your best bet even if you have doubts over their claim. The can is still with you as a reserve which you can use on your way back however keep 4-5 liters for the emergency until you hit back the RCD Highway.